Posted on September 1, 2018	by Blog Woman!!! 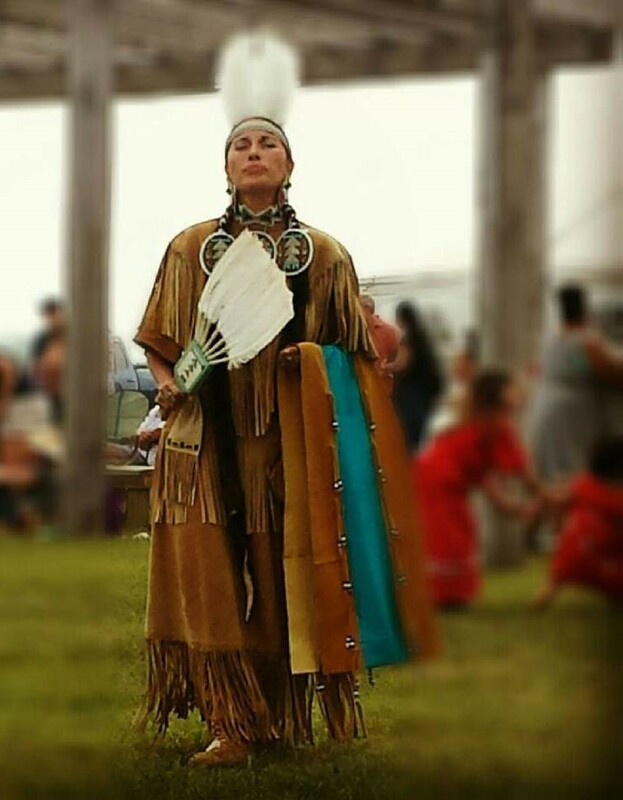 For non-Indigenous friends, a little info note about powwows… A powwow is a social event where we sing and dance in honour of our ancestors; to pray to, for & with them and Creator, and to enjoy the good humour, kindnesses and company of our relations. The day’s highlight are the competitive dances that enthrall with their colours, intricate detailed regalia, and the sheer physical power put into the dancing. Then there are various food vendors that’ll test your capacity to eat heartily. All are invited to share in these events to not only enjoy the day’s events, but also to support Indigenous artisans and craft makers, who provide beautiful, genuine Indigenous work in all sort of art genres for sale. You won’t have to wonder about the protocols, i.e. how one may participate in the dancing or when you may take photos, or when to stand for a prayer, etc. All powwows have an MC that announces or directs these points as they arise. A quick tip: the standard invitation for anyone to join the dancing begins with the call: “Inter-tribal dance”. Hiy hiy and congratulations to all for a really wonderful 2018 Powwow season. 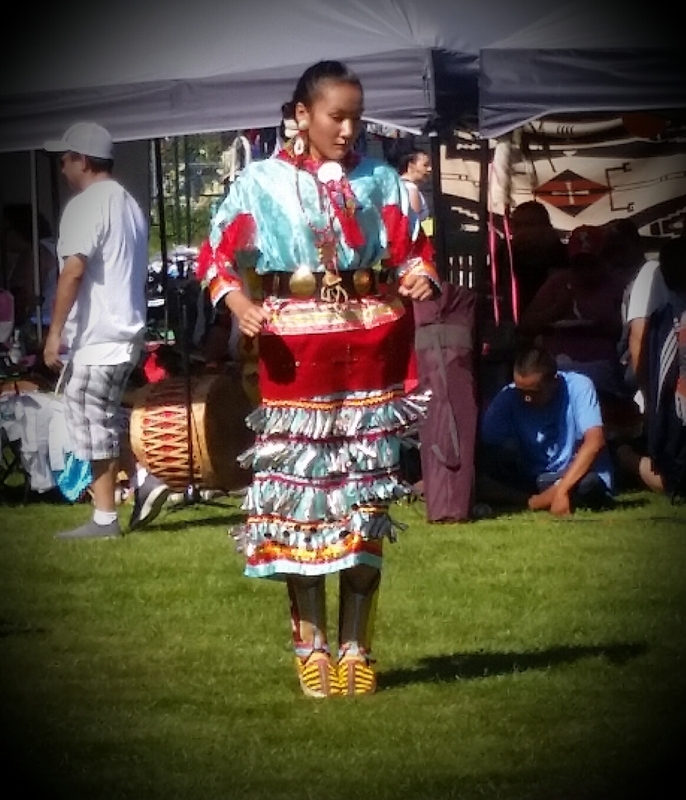 This entry was posted in Dance, Haiku, Indigenous Peoples, Life, Photos, Poetry, three line poetry, Uncategorized and tagged Powwow, Protocols. Bookmark the permalink. The photos are stunning. I have been to a few festivals but not yet to a true Pow Wow. I need to check the schedule for Georgia. I love the photographs. 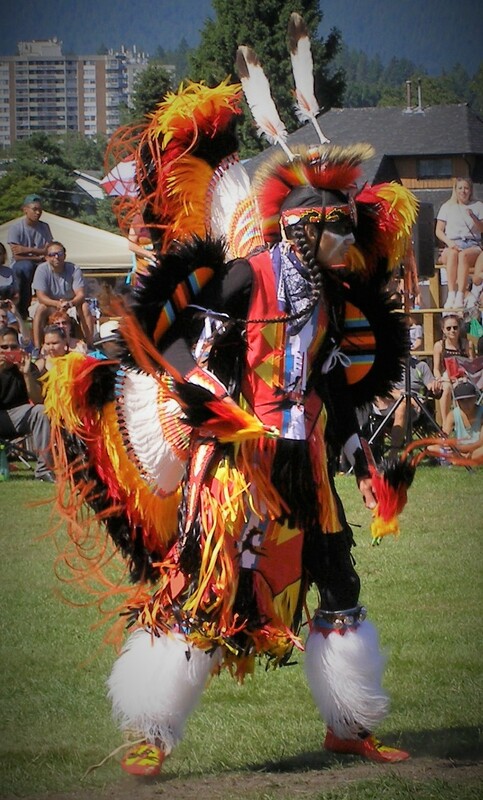 I really appreciate your post because this year, I missed the Yaqan Nukiy powwow, in May. … would appreciate some photos of the art and crafts also next time please? I would love to attend one of the Corroborees one of these days. And great idea about the art & crafts tables. That will be on the writing list for next year! yea for that! I attended a corroboree as a child, now I have no idea if it was in an extremely vivid dream or for real … been to a couple of tourist ones that didn’t connect. Great photos. Silly question – Are there any books about Indigenous American cultures that you would recommend? OMG, not a silly question at all. There are many, but not generally known to be honest. Clearing the Plains by James Daschuk is excellent and even though it specifies Canadian history, we really didn’t have that 49th parallel border. The experiences were the same. Some others are Custer Died for Your Sins, An Indian Manifesto; Bury My Heart at Wounded Knee; Bad Indians. There are also several novels that have incorporated the culture into the tale in really genuine ways. There is a good pile to pick through really. I’ll have to try some of those. Years ago I read a book about Tecumseh, A Sorrow in Our Hearts, that was good. One of the things I’m looking for is something that describes the culture more than the clash with the people of European descent. Yes, very important history that I want to know more about as well. Thanks.